Fred Olsen Cruises is a family run company that operates a fleet of four modestly sized cruise ships on worldwide itineraries. Their guests are predominantly from the UK and many of whom return year after year. Only during holiday periods do their ships offer organised and hosted children’s activities, subject to a minimum number of children booked on the cruise. 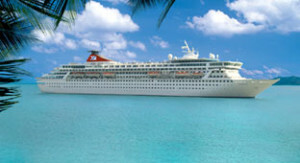 The Childrens Club (Children Hosts) on these cruises primarily supervises children from the ages of 5 to 11 years. From their Head Office in Ipswich, Fred Olsen recruits for positions of Hotel Managers, Future Cruise Sales Managers, Guest Relations Managers, Tours Assistants, Spa Staff and many others. To apply, visit their employment pages and register your personal information.